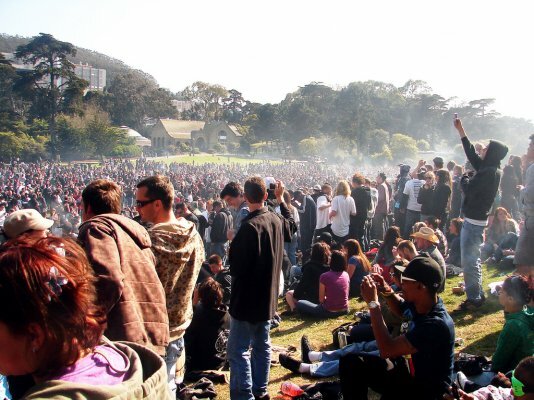 420 at Hippie Hill is a well known San Francisco tradition, bringing tens of thousands of people from all over to Sharon Meadow to celebrate the right to use cannabis. In previous years, this “festival” has been un-permitted and unofficial. It was awesome, but growing larger every year, with increased violence and the amount of trash left behind was unbelievable. Seriously… it was 11 tons in 2016. 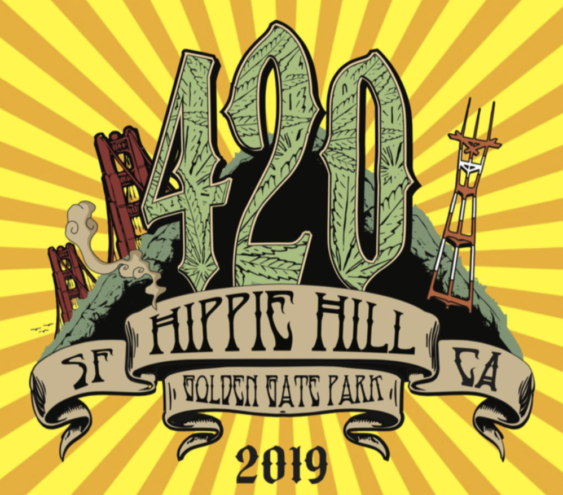 Want to volunteer to help out at Hippie Hill on 420? Learn More. To avoid a shutdown and make sure to make the event safe for everyone, the city actually permitted the event, bringing in sponsorships to help pay for fencing all around the perimeter of Sharon Meadows, increased security, port-o-potties (so necessary), food vendors/trucks, plus a sound system and DJs for entertainment. Will you get arrested for 420? If you’re just enjoying yourself, not being a d*ck and not breaking any of the rules, then you’re probably fine. But note, smoking marijuana is still sadly against federal law (the state and the city tend to look the other way), so there’s still always a slight chance of a crack down, but we highly doubt it. Don’t destroy anything, hop the fence, push over porta-potties…. i.e. don’t be a jerk. Don’t sell anything without a permit. To inquire or apply for permit, please email: vendors@420hippiehill.com. Selling cannabis is not permitted by anyone. Don’t trash the local neighborhood; if you’re a jerk and peeing in someone’s front garden in the Upper Haight, do you think the neighbors will want this to happen again next year?